App Builder Appy Pie, January 31, 2018: The idea of social entrepreneurship is not new, but in the modern times it has taken on a new meaning altogether. Social entrepreneurship is all about applying practical, innovative, and sustainable approaches for the benefit of the society with a special emphasis on the marginalised and poor. It entails a unique approach to the social and economic problems cutting across sectors and disciplines and grounded in certain values and processes that are common to each social entrepreneur. This is irrespective of their chosen area of focus and whether the organization that they set up is for profit or non-profit. It is essentially this unique approach that makes social entrepreneurs stand apart from the rest of the crowd of people and organizations who mean well and dedicate their lives to social improvement. This leads us to wonder as to who would be qualified to be called a social entrepreneur. A social entrepreneur is a leader who has managed to bring about a big, systemic and a sustainable social change by way of an invention, a unique approach, a stronger application of existing resources and strategies or a planned combination of these. Their focus primarily lies on the social or ecological value creation while working to optimize the financial value creation. They innovate by discovering a new product, service or a completely new approach to a social problem while refining and adapting their approach in accordance with the feedback they receive. They are essentially people who embody a balanced combination of Jeff Bezos and Mother Teresa. An innate faith in the innate ability of everyone to contribute to the social and economic development in a meaningful manner. A fiery passionate streak to realise this vision. A combination of practicality & innovation to approach a social problem, typically using market principles and forces, reinforced by a persistent resolve which permits them to break barriers of ideology or field of discipline which drives them to take risks most would be afraid to take. A fervour to quantify and observe the impact of their actions. Using both quantitative and qualitative data as their key tools to get feedback and make improvements. They are also characterised by a healthy impatience which means that they cannot simply sit back and wait for change to happen on their own. They’d rather be the proponents of the change that they want to see. Around two decades ago, Charles Leadbeater in The Rise of the Social Entrepreneur commented on how an assortment of misfits and dreamers were mobilizing business resources and specialised tactics to help deprived communities or to causes that seemed lost at the time. This book added fuel to the fire to pursue a higher calling that burnt in the hearts of many entrepreneurs. These entrepreneurs who cared more about bringing about a social change than fattening up the profit margins and satisfying the shareholders mobilised the movement of social entrepreneurship which has today come to age and has attained the status of an established business practice today. As the world goes digital, it is only natural for the world of social entrepreneurship to be influenced by it as well. In a world characterised by democratization of the society a greater number of people are being empowered by information and are creating immense value. The ongoing mobile revolution has taken this idea even further today. In past, the idea of bringing about a massive change in the social scenario had only been reserved for those with deep pockets and huge amount of resources, but today things have changed and wildly so. Today anyone can make a contribution to the things that they care about. All one needs is a smartphone to make their contribution and have fun while doing it. Here’s a list of mobile apps that are bringing about this revolution in the world of social entrepreneurship. This is a one of a kind app that has an innovative concept at its core – turning news into action. 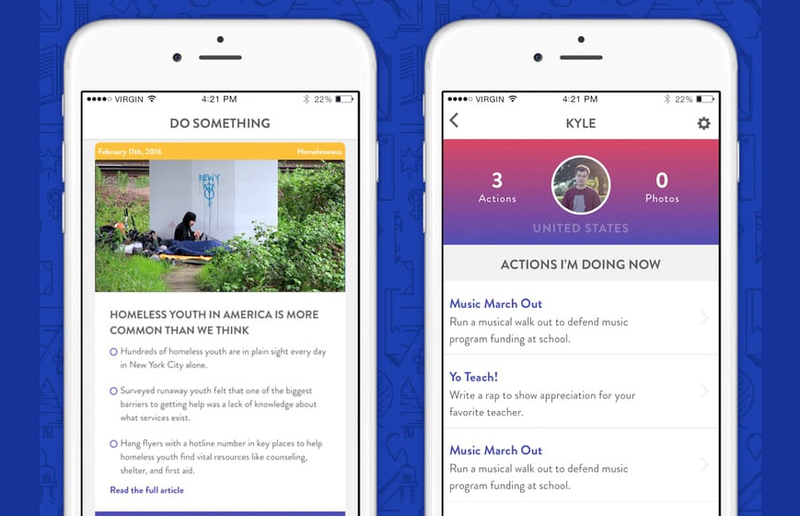 The DoSomething app comes from DoSomething.org which summarizes current events and suggests immediate, impactful ways in which you can make a difference. With this timely content delivery, you have the advantage of being aware of the numerous things that are happening all over the world. Once this information is delivered to you the app will then follow it up with research backed ways that can make an impact on them. It is true that everyone cares about something different whether it is the economic disparity, racial or any other kind of discrimination & inequality, or the state of the environment, or maybe everything. On DoSomething app, the users can search for more than 270 different campaigns that are sorted on the basis of the causes they cater to. The app also allows the users to make their own user profiles which means that they can track their own actions, see the impact that they have had and also view other members’ profiles and the country they are located in. This is done with the intent to indicate to the users that they are a part of a massive global community that is working for good. Answering online market surveys has proven to be a quick source of money that many of us might have benefited from at one time or another. All one has to do here is to answer a few quick questions and be rewarded for the answers. However, the amount of money that comes to you is paltry and it can grow a little old and boring. This where MicroHero steps in and offers you a chance to make your contribution while responding to a survey. All you need to do is download the free app on your phone and answer a few questions, in return of which you earn real money. This money is then donated to non-profits or charities. The donation money is paid for by the companies who are conducting their market research or are looking for quick answers for some urgent queries. One of the most unique concepts, the Fotition app offers you a social experience of a different kind altogether. This is different form any other social network as Fotition is the first social currency exchange to exist ever. This is a place where you can post photos and receive in exchange real money donated by numerous brands in support of the cause that you care about. It has some fun photo challenges where the users can Fote to support their chosen campaigns. This app allows you to go through your everyday life, taking photos, posting them, and sharing them to effectively raise money and awareness for good causes. Here the users can create communities that rally around common causes, charities, brands, and the people who support them. One small thing done consistently every day, or one new thing every day can have a massive cumulative impact. 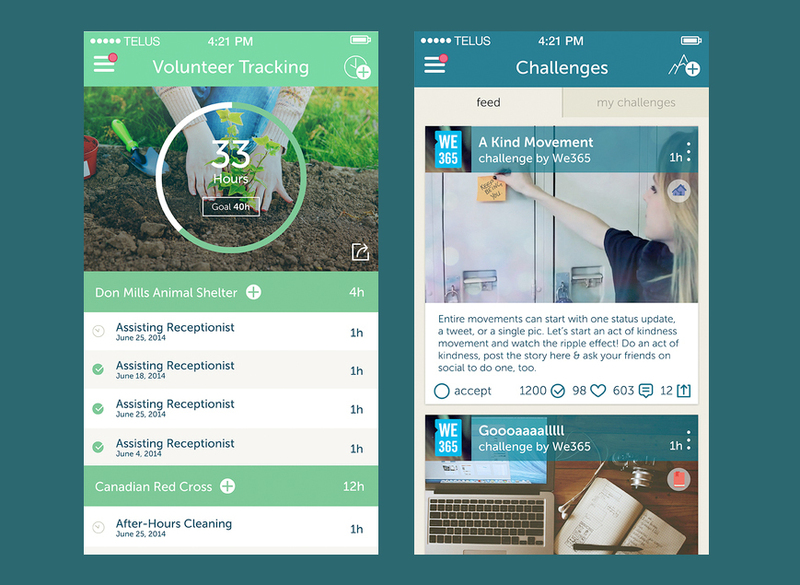 We365 is an app that believes strongly in this concept and has built up a community of people who are committed to make this world more awesome by accepting inspiring challenges that have an impact on hundreds of causes. Whether it is the environment, the human rights or animal rights, We365 facilitates taking positive actions and tracking the impact that you have made a lot easier. Make a change in you, in the community, and in the world! We365 delivers inspiring challenges to you every day. Do you care about the environment? Do you want to beat cancer? Do you want to increase your contribution by increasing your daily acts of kindnesses? There is a challenge for you that awaits a download! In any normal household, there are bound to be a number of items that are in perfectly good condition but have no use in the house. They take up space in your house, you don’t want to throw them out, nor do you know anyone who you can give it away to! What do you think you can do about this situation? Forward steps in here to help you rid your space of these superfluous things without the guilt of consumerism consuming you! It helps you give these things away instead of simply trashing them. The people who would receive this object that you give away, will then make a small contribution to a charity of your choosing. What you need to do here is take a picture of the object that you are looking forward to giving away, put a price tag that you think is viable, and choose a charity from the list. This is a win-win situation for everyone, where you can get rid of your unwanted things, someone else gets what they are looking for, for a steal, and charities get a contribution. Spotfund calls itself a social impact network which gives you the opportunity to change your world with donations as small as $1, $2, or $3 to causes and current events. The underline here is that to make an impact, it doesn’t matter what size your wallet is, what matters is the power of your social network. 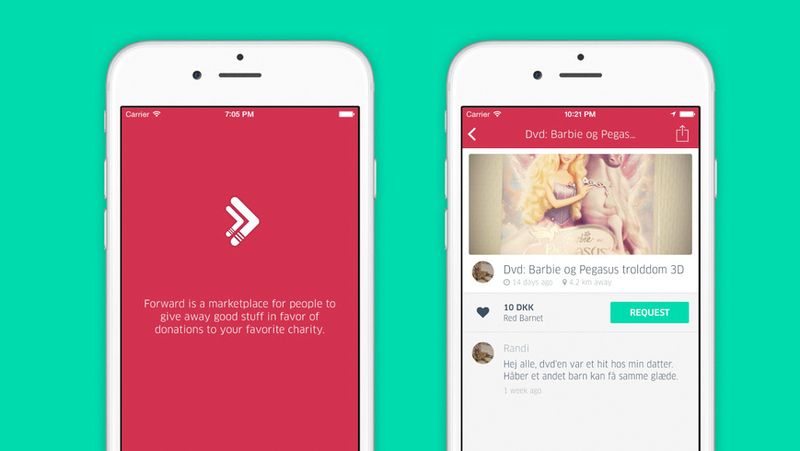 On Spotfund you can follow your friends and match their donations with just one tap. 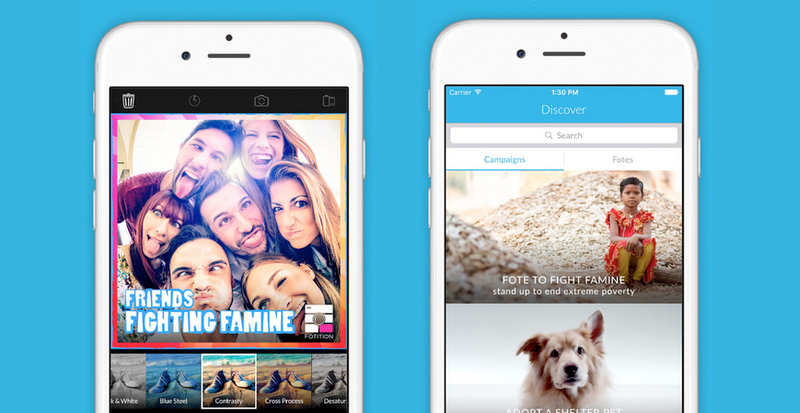 Spotfund lets you create, discover, and share stories consisting of text, videos, and pics. Instead of the ‘like’ button you would find a button with $1 donations, and every story goes on to benefit a charity. Every donation here is tax deductible and the donors receive a receipt via email to be kept as a record. 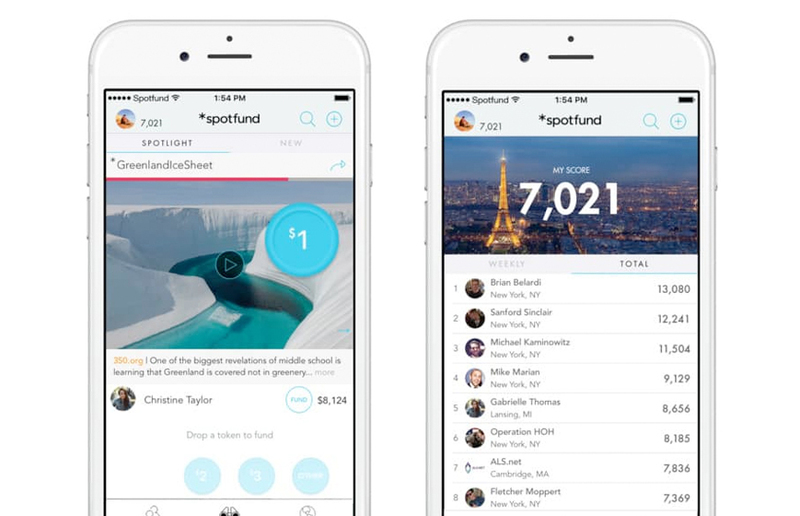 Spotfund makes it easier to share stories, make donations, and encourage friends to donate and help make the cause go viral. You get points for your contributions and your Spotfund Score increases for each dollar you contribute and for each dollar raised by the stories you created and shared. This is a unique app that gives you the power to convert your location and movement all through the day into a donation to the charity. The app runs persistently in the background and measures your location for donation. 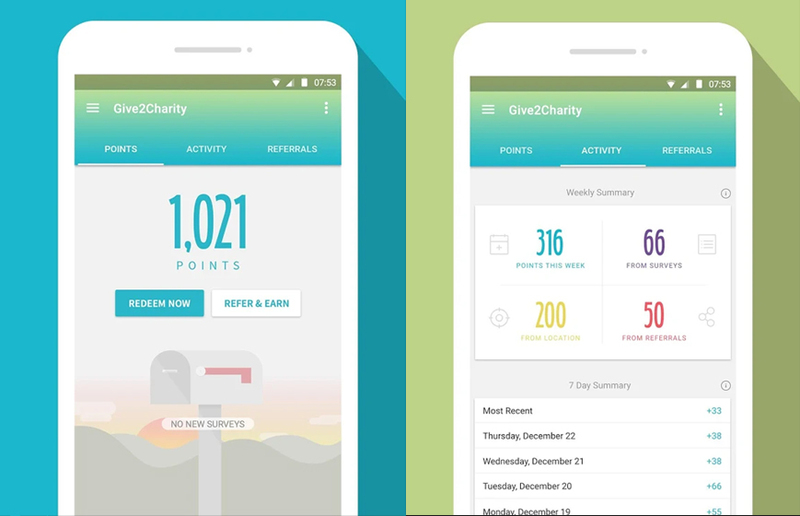 This is an app that helps you give back without spending a single penny from your pocket. You can make a contribution and donate to the charity, simply by carrying your phone around and earning points that you can then donate to the app. Once these points reach a certain mark, you can redeem them in exchange for a donation toward one of the seven great causes on the app. Social sharing program (where you refer friends by linking your social networks) or answering survey questions can help you earn some bonus points and donate even more. This is an app that is free and allows you to make your donations and raise awareness about social causes by walking, running, or biking and the money is donated by corporate partners of the app. 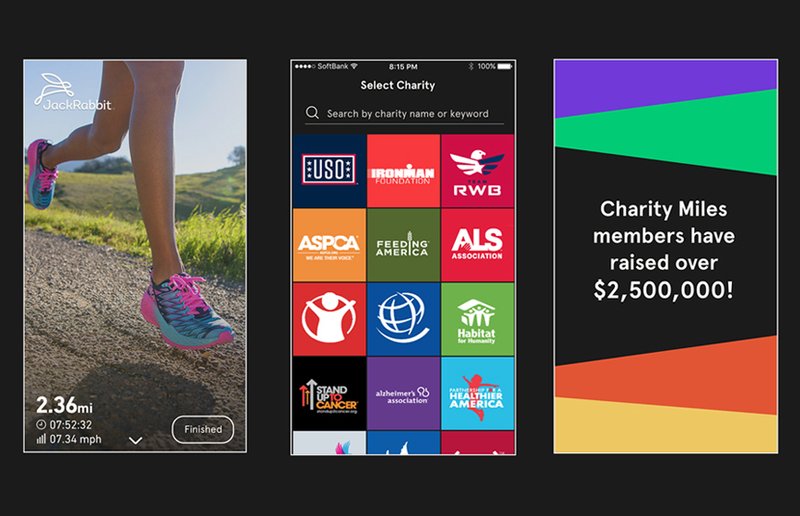 All you need to do after downloading the app is choose a charity and set out on the road. When you walk, run, or go biking, the app measures the distance that you cover and based on this you earn money for the charity of your choice. It might not be a surprise for most people to know that there is a huge number of people who go to bed hungry. GiftaMeal helps feed the less fortunate and helps you spread the message and get more and more people involved in the cause. The app has a unique “buy one gift one” model which leverages partnerships with various restaurants to provide meal for the less fortunate. 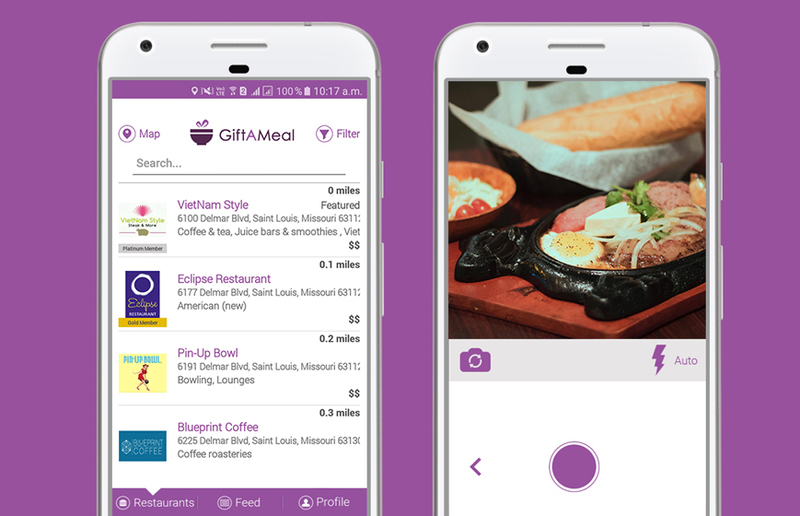 How this app works is that every time an app user walks into one of the partner restaurants and takes a picture of the food they ordered or liked at the restaurant with the app, a meal is donated to a needy person in the user’s locality. The meals are donated through a network of food banks including Operation Food Search in St. Louis, Lakeview Pantry in Chicago & Forgotten Harvest in Detroit.